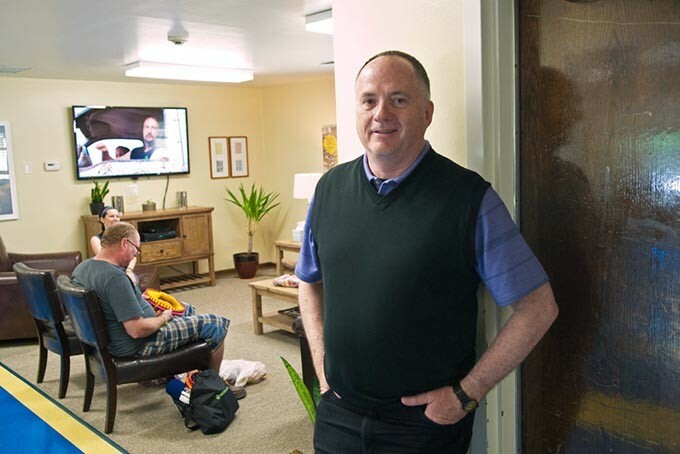 Will I continue to receive services? is the single most dreaded question for the staff at Hope Community Services Inc., a community mental health center in south Oklahoma City. Last month, state leaders announced the budget shortfall for the coming fiscal year had swelled to $1.3 billion. 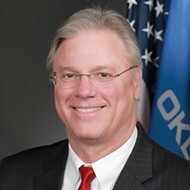 Exactly how the revenue crisis impacts the Oklahoma Department of Mental Health and Substance Abuse Services (ODMHSAS), its 15 community mental health centers and patients is a guess until lawmakers vote on the final budget in May. Hope staff predicted cuts are coming and thats what makes client questions so difficult, said Jeanette Moore, Hope executive director. Hope is a nonprofit that provides counseling, psychiatric rehabilitation services, substance abuse services along with a dozen more wellness services. Partially funded by the ODMHSAS, Hope leaders believe with the state revenue crisis the organization will see rate cuts, caps on services or elimination of some services. Summer King, Hope clinical director, said she sees tears in her clients eyes after sharing service changes. Last year, the nonprofit served more than 7,400 clients, including children and adults. King and Moore see a great need for the organizations services. For so many of their clients, Hope is the only care option. Without referrals, eliminating services means countless residents have nowhere else to turn. Money for social services is drying up as Capitol leadership cuts state spending by 7 percent for the final third of this fiscal year. It comes on the heels of a billion-plus-dollar budget hole for the fiscal year starting July 1. Charitable and nonprofit organizations have long served as bridges between those in need and what social services the government provides. 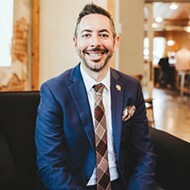 With a state revenue crisis, nonprofits play even greater roles, said Daniel Billingsley of Oklahoma Center for Nonprofits. 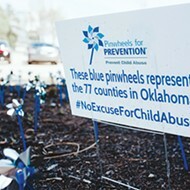 Right now, the nonprofits that exist in Oklahoma are at a point where they are at full and total capacity for offering services, said Billingsley, vice president of external affairs. The statewide organization provides training and consulting for nonprofits. Oklahoma Center for Nonprofits reports there are more than 19,000 recognized nonprofits across the state, which offer services such as education, housing, meals, entertainment, health, leadership training and more. Additionally, the groups serve infants, children, seniors, veterans, low-income people and the disabled. Oklahoma consistently records some of the highest numbers of mental illness in the nation and troubling figures when it comes to adults and children who go without care. An estimated six out of 10 adults do not receive the care they need, according to The State of Mental Health in America, a report released by a national community-based mental health advocacy group. Michael Brose, executive director of The Mental Health Association Oklahoma (MHAO), doesnt have to read the statistics or funding numbers to know there are problems. As the leader of a nonprofit working with Oklahomans dealing with mental illness, he knows firsthand how budget cuts impact residents. MHAO runs OKCs Lottie House, an adult drop-in center. A consequence of nontreatment includes the burden shifting to police stations, courtrooms and state prisons. People with untreated psychiatric illnesses are reported to spend twice as much time in jail as non-ill individuals, according to Treatment Advocacy Center, a nonprofit dedicated to educating about mental illness. The revenue crisis lead MHAO officials to take a second look at their advocacy efforts. Recently, the organization began working with criminal justice leaders. Research shows housing mentally ill inmates in county and state corrections facilities costs more than housing non-mentally ill inmates. Changes to criminal justice policies could shift savings back into mental health treatment. We do need more money, but we cant be afraid to step back, like any good business does, and think how can we reinvent ourselves and reorganize, Brose said. When Jim Priest, Sunbeam Family Services CEO, visited Oklahoma Citys KidZone Learning Center to read Dr. Seuss books to youths, he wasnt thinking about the state budget or downturn in the oil and natural gas industry. Instead, he admired the bright environment with new books and learning toys furnished by Sunbeam through its mission to provide care to the youngest community members. 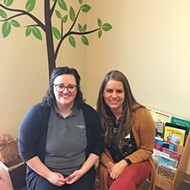 As the recipient of the federal Early Head Start Child Care Partnership Grant, Sunbeam employees work with more than a dozen local child care centers to provide learning areas designed to capture childrens interests and eagerness to learn. The Early Head Start program reaches more than 500 Oklahoma City youths from infancy to age 5. It is one of two early childhood programs housed at Sunbeam, a nonprofit that also provides services to low-income families through established senior services, counseling and foster care programs. Sunbeam just scratches the surface, as more than 14,000 OKC children qualify for the early childhood programs. Priest said the nonprofit is prudent and careful with their operations costs. The group relies on donations, as well as some state and federal government contributions. The simple explanation is exact. 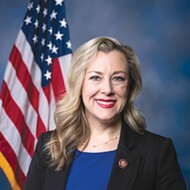 Billingsley described the impact of government cuts on a variety of nonprofits, including historic preservation organizations, arts councils, prison ministries, parent teacher associations and foundations maintained by state colleges and universities. Print headline: Domino effect, Nonprofits feel the burden of state budget cuts and our economic downturn.